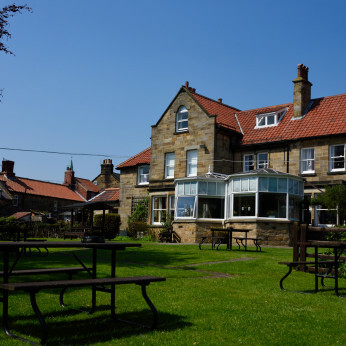 We have a warm welcome for you at The Fylingdales Inn & offer a range of local beers. We serve food every day & on Sundays serve a choice of roast diners. We have a large beer garden & welcome children. We also allow dogs. Join us at The Fylingdales Inn for our fantastic burgers every Wednesday from 4pm! Enjoy 2 Sirloin Steaks with chips, tomatoes, mushrooms, corn on the cob and a sauce of your choice with a bottle of one of our fantastic house wines for just £30! Or 1 sirloin steak with all the trimmings and a large glass of your favourite wine for £20!